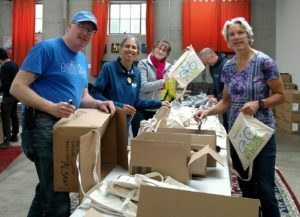 Gjergji volunteered to represent AS&R at the 6 p.m., June 20 meeting to redesign San Pablo Avenue organized by Bike East Bay’s advocacy director, Dave Campbell, at ACTC headquarters in downtown Oakland. Gjergji will report back on comments from constituents living in cities along San Pablo Ave. If you’d like to participate in this meeting as well, contact Harry Chomsky at harry@chomsky.net. Ken has recommended the City of Albany organize an event to celebrate the Hawk street signal and cycle track on San Pablo and Dartmouth. The city will pay to hire an event organizer to coordinate this effort with the city, CalTrans, UC Village, the shops in the new center, and Belmont Village. Although some have objected to the design of the Hawk signal, more of these signals will be installed in Berkeley later this year and they are becoming more common throughout the U.S. The celebration, taking place this spring or the fall, will allow AS&R to educate people as to how the signal works. Ken said the next Traffic and Safety Commission agenda includes a discussion on installing electric chargers in public and private spaces in Albany; a new one-block paving project on Evelyn north of Marin involving a curb cut, and the city has requested AS&R for input on the design of the cut; and a sidewalk project scheduled for June. Not on the agenda is a discussion of Buchanan Phase IV, which is partially funded to improve bicycle and pedestrian crossings on Buchanan/Marin and San Pablo. 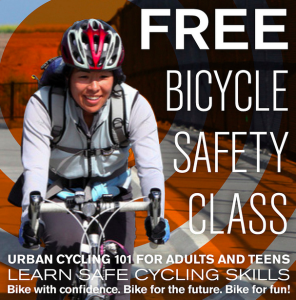 Bike About Town rides resume every third Friday starting May 18 through October. 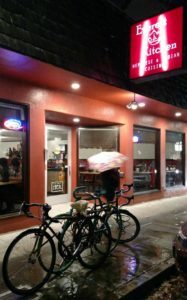 The start/end location, at Bikes on Solano, remains the same. Two volunteers are needed for each ride. 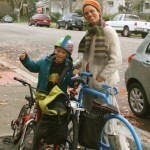 Gjergji and Sylvia will help with the May 18 ride. Ken has suggested alternate routes and a different starting point to attract more riders but the city will not change the course. A fiber cable at Jackson and Buchanan might be preventing drivers from seeing the stoplight. This needs further investigation. Bike to Work Day was a success, and we learned it would be helpful to have a checklist for all the tasks required. 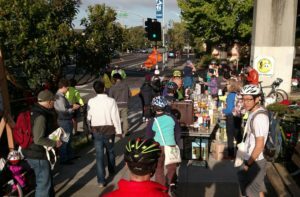 The same could be done for other events, such as bike valet parking at the Solano Avenue Stroll, so that when someone solicits donations, such as food and supplies, it would be the organizers’ responsibility to assign individuals to pick up these supplies and remove/store them after the event is over.